Anyone who’s familiar with rescue life knows that not everything goes as planned. In fact, not very much goes as planned! Brewster is the perfect example. We weren’t anticipating another dog at the moment. All of our foster homes were full and we already have a senior resident with special needs and vet expenses to go with those needs as well as two other dogs that were currently being vetted. But then it happened. We saw Brewster’s face….and his emaciated body. We learned he was taken to an overwhelmed local city shelter that was already bursting at the seams and begging for help. Brewster was time stamped which meant the clock was ticking and if a rescue group didn’t take him within the next 24 hours he’d be making that short walk down their long hall to be euthanized. It’s the sad reality of a disposable society. Shelters are faced with numerous relinquishes and stray animals daily. They keep them for as long as they can before they have to make some very difficult decisions. Most shelters will work with rescue groups that meet their criteria. Unfortunately, many do not meet that. 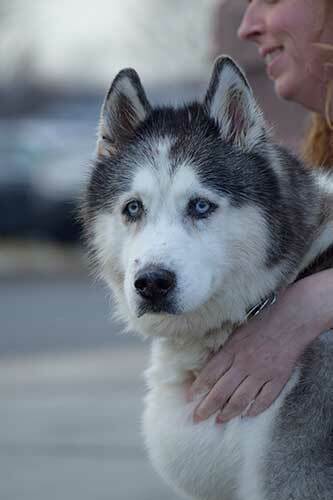 Arctic Spirit Rescue does and is rescue partners with numerous shelters in our own region. Sadly, we are limited by our foster homes just as most shelters are. 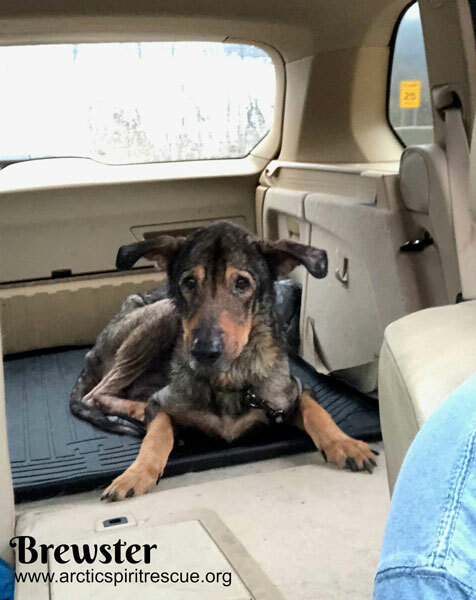 We took a chance and posted a plea to our followers that we had a very short number of hours to find a responsible foster home that would commit to this dog’s needs whether it be short term or long term. This often brings us well meaning individuals that just want to “save the dog” with no thought as to their lifestyle compatibility to commit to a dog that will require numerous vet visits and a lot of TLC. We got lucky and a potential foster home came forward who understood what they needed to do. 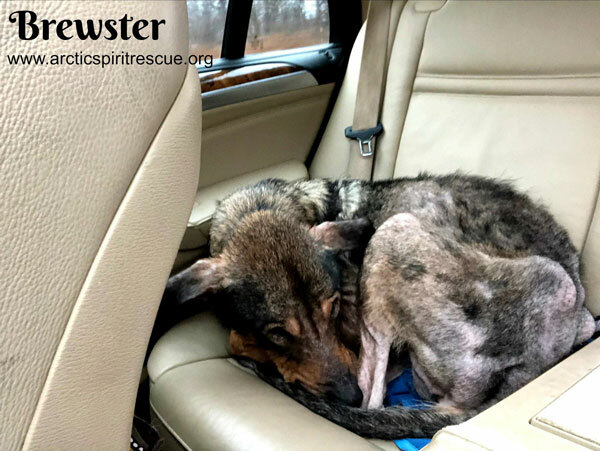 Within an hour our foster coordinator was on the road to rescue Brewster. The outpouring of love and support for this dog has been heartwarming and encouraging. For this we are grateful. There are many more just like Brewster that slip through the cracks each and every day. Our local shelters need our help and rescue groups need foster homes. Make 2019 the year you resolve to make a difference. Fill out our foster application. Our foster coordinator will contact you to discuss what type of dog would be best for your home. We work hard to make responsible matches so the experience is a positive, fulfilling one for everyone. Our foster team is always available to coordinate necessary care and support. You’ll never be faced with making numerous calls to reach your support team. We work with numerous vets in the tri-state area with the list constantly growing. Our bills are paid immediately so you’ll never be faced with vet care being denied. We cover all medications, necessary supplements, and vet care, and include our foster homes in the adoption process. Become part of our team and help us save even more broken hearts left at our local shelters in PA, NJ, and DE. Brewster thanks you. It’s that time of the year again! We are proud to announce the return of the annual Arctic Spirit Rescue Iditarun 2018 5K Run and 1 Mile Dog Walk. 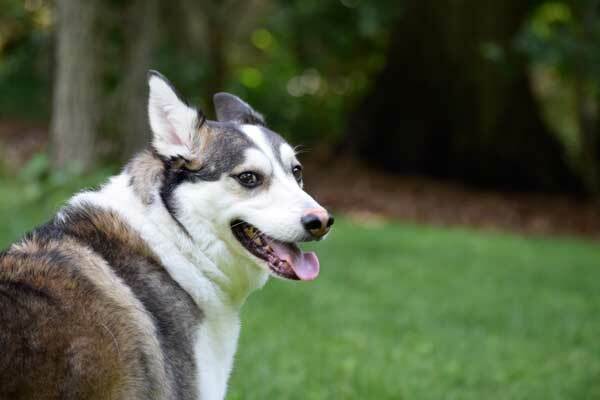 The run will once again be hosted at the beautiful Oakbourne Park in West Chester, PA.
All proceeds from this annual fundraising event will support our ongoing efforts to rescue and connect Siberian Huskies, Malamutes, and other Northern Breed dogs with their forever homes. 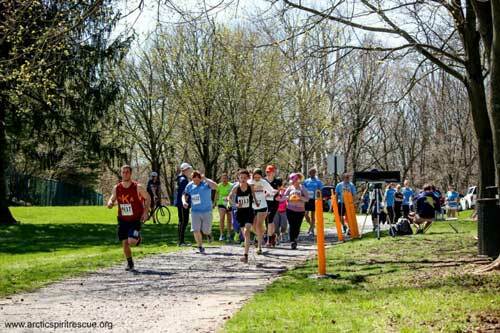 All pre-race day registrants who register by April 3rd are guaranteed a Technical T-Shirt. While supplies last. Interested: Check out the video recap from last year’s Iditarun! Also be sure to check out our event recap of last year’s Iditarun – we had such a great turn out and an absolute blast. “The time is always right to do the right thing” Martin Luther King Jr. Wise words and they seem to apply in this case. Phoebe came into our lives several months ago. Since then we’ve had her evaluated by a few different vets and together with our Board of Directors and her loving foster home we all agree she will be a permanent resident of Arctic Spirit Rescue. It’s never a decision to be taken lightly and many factors come into play when making a decision like this. As we know, Phoebe has numerous chronic health issues that need to be carefully managed. This requires frequent testing, numerous medications, and a committed local foster home. We have those ingredients and feel it’s in Phoebe’s best interest to be kept in a stable, consistent environment where she’s happy. Her well being is our priority. Obviously, a commitment like this comes with a significant price tag and we’ll need help. In the near future, we’ll be announcing opportunities for sponsorships and fundraisers to help us with her veterinary care. In the meantime, please consider clicking the DONATE button on this page and making a donation – even small donations help. In return, we will all enjoy Phoebe’s steadfast, positive spirit through images and appearances at various events. The Board of Directors and Phoebe thank you all for caring! Interested in helping with the ongoing support of Phoebe? Donations are greatly appreciated via our Donate page or Amazon Wish List. 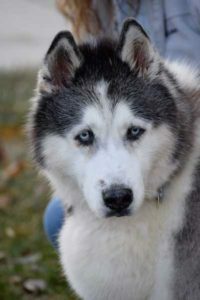 Introducing Phoebe, a loving 12 year old Senior Siberian Husky whose sad story caught our attention. We were contacted by Phoebe’s caregiver with a plea for help. Phoebe belonged to her Mother who had her since a puppy. Sadly Phoebe’s mother, the only home she ever knew, passed away unexpectedly. This left family members scrambling to not only deal with their grief but also find the best option for poor Phoebe, who was just as confused. Phoebe’s owner’s daughter stepped up and lovingly took her in. Unfortunately, due to a severe case of asthma, it became impossible for Phoebe to stay. They were determined to keep her out of the shelter system since they knew her chances at an overcrowded and overwhelmed shelter would not be great. They depended upon the generosity of family friends who could take her in now and then. When there was no one to help she found herself living outside. When we heard her story we knew we had to help. We knew she would need veterinary care which we immediately provided, as well as a full groom to remove 12 years of old “fluff”. When she emerged from the grooming salon we couldn’t believe it was the same dog. She proudly strutted out to us, clearly proud of her new makeover. She has settled in with her foster parents where she is once again being pampered and spoiled. Be sure to watch her progress on on our Facebook page. If you’d like a quiet companion to keep you company please contact us. Welcome to Arctic Spirit Rescue Phoebe! We are glad we could help, and thanks to her family for making sure she’s safe and loved. Update: Phoebe’s senior needs have required significant vet bills. Please consider helping out with a small donation. House training is at the top of the list when you bring home a new puppy or dog. It can also be one the more frustrating aspects of dog training. Some puppies just don’t learn very quickly that they shouldn’t use your floors as their own personal potty. But if you adhere to the two rules of house training your pup will soon learn the proper place to relieve himself. Rule #1: Prevent accidents. Supervise your puppy in the house. Use a confinement area or leash your puppy to you when you are not sure if your puppy is empty. Rule #2: Reward your puppy for going outside. Praise at the right moment (when he starts ‘going’) and reward with treats the moment he finishes. Use short-term confinement (his crate or leashed to you) when you are home but cannot devote undivided attention to your dog. Take your puppy outside on leash every 60 minutes (don’t wait for a signal). Take him to the same potty area every time. When you see him squat begin praising him. Offer him some fabulous treats when he is finished. If you are in a puppy-safe place, let him off the leash for a little playtime. If he doesn’t go within 5 minutes, take him back inside and put him in his crate (with a chew toy or stuffed Kong) or leash him to you for 10-20 minutes, then try again. For every 3 days of no accidents, increase the time between potty breaks by 15 minutes. Until your puppy is perfectly house trained, always go outside with him so you can cheer and reward at the right moment. Supervise whenever your puppy is not crated. If you must take your eyes off him, even for a minute, crate him or leash him to you. If you see your puppy sniffing and circling in the house, take him out immediately. Interrupt mistakes as they are happening. After interrupting your puppy, hustle him outside to the potty area. Praise if he finishes there. Clean up the indoor mess with an enzymatic cleaner to remove protein residue that might attract him to the same place again. Never punish. If your puppy made the mistake one hour or five seconds ago, you are too late. Don’t rub his nose in his own mess or smack him, this will simply make him afraid of you, and he won’t understand why you do it. You must catch him in the act for the interruption to work, and again, you can’t do it too harshly or your puppy will be afraid to go in front of you, even when you are outside! yourself over the head – because you weren’t paying enough attention to your dog! Still having trouble or do you have more questions about your dog’s training or behavior? ‘Ask the Trainer’ by contacting Dentler’s Dog Training – info@DentlersDogTraining.com or 610-505-0123. Jeff Dentler is a Certified Professional Dog Trainer and owner of Dentler’s Dog Training in Pottstown, PA. For more information and to sign-up for his newsletter, visit the Dentler’s Dog Training website. For daily tips on training, exercise, health, and nutrition please become a fan on Facebook. 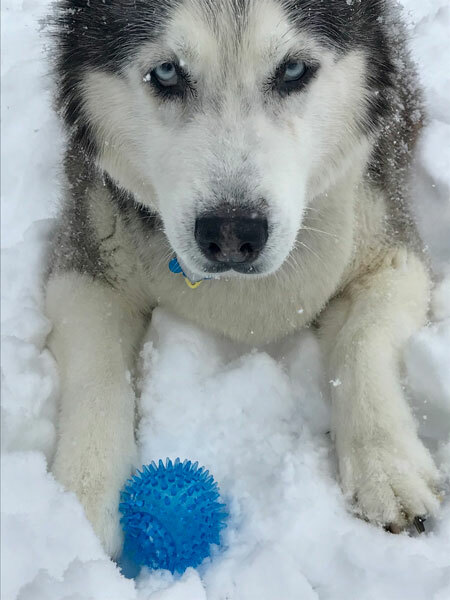 When Arctic Spirit Rescue asked me to write about an article about “Special Needs” dogs, a myriad of subjects came to mind. My husband and I are suckers for dogs with disabilities to the point where I started a Website called Gimpy Dogs to help others wade through the confusing and often misleading sites out there selling everything from snake oil to miracle cures and peddling bad information. 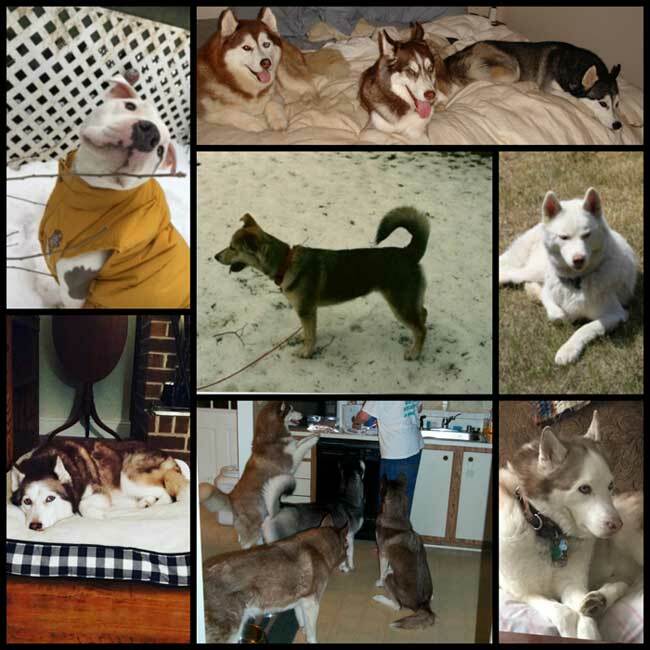 We chose to adopt a Siberian Husky with horrible hips, and one with a deformed front paw because we fell in love with them on first sight, but also because we knew that they would need pretty extensive medical care, and had the time, money, and means to give them a wonderful loving home. 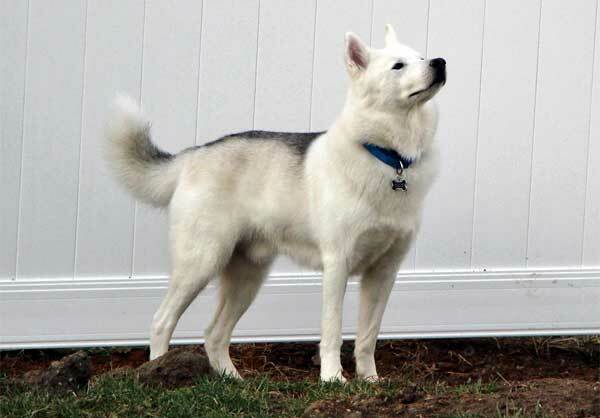 We also purchased a purebred Siberian Husky from champion lines from a reputable breeder. If you look at that list, you’ll see that the only thing listed that has anything to do with a dog with bad hips and one with a deformed paw is the Total Hip Replacement. The Husky with the deformed paw has been our least expensive “gimpy dog”. Everything else popped up, out of the blue. 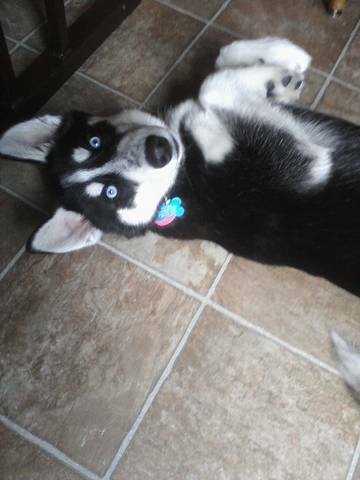 Even our purebred, from show lines, reputable breeder raised with perfectly sound parents, and socialized early Siberian Husky needed some “special” care through her life as well. Not to scare you away from bringing a four-legged family member into your home, but Special Needs dogs may pop up out of the blue, you don’t necessarily choose them, and in their senior years, you will most definitely encounter medical issues. Even healthy “normal” dogs will cost you money in the general day-to-day things: food, treats, toys, leashes, crates, collars, and vet bills when they eat their collar, toys, and annual vaccines and check ups. The best way to handle the day-to-day is to be proactive and prepare for the emergencies that may come up. Some people choose pet insurance, but do your research to find out which type of policy is best for your dog. Some require you to take your dog to specific vets for treatments that are covered. Others require you to pay the vet bill and then get reimbursed for treatment. We opted to just start a savings account for our dogs and put money in automatically each month. If you can pay a company a monthly fee for insurance, you can put it in a savings account instead. If you start off when they’re puppies and don’t touch it, you generally have enough saved up for some pretty pricey procedures. This way, you don’t pay a company monthly fees, have a stranger determine where your dog is treated, and what gets covered. In the case of companies that reimburse, you still have to come up with the money up front for procedures and hope the procedures are covered under the insurance. Some people save off a special credit card to use for emergencies or needed treatments. Learn as much as you can about the breed of dog you adopt. All breeds have special issues, training techniques, and congenital issues, so find out from people who know: other people who own the breed, reputable non-profit rescues, and your vet. Learn how to filter out bogus information you may find on the Web, take advice with a grain of salt, and always consult your vet. If you don’t trust your vet to give you good information, then find another vet. If you do trust your vet but think there may be other options out there, don’t hesitate to get a second opinion. If your vet is offended by you wanting a second opinion, then get another vet. One very important thing to remember: your vet sees your dog once a year, sometimes more. YOU have to be your dog’s advocate and you have to relay important information to your vet on behalf of your dog, so make sure you document things, do some research on a diagnosis, and engage your vet in conversations about the best treatment. Now that I’ve pretty much freaked you out, let me tell you what isn’t so “Special” about Special Needs dogs: They’re just dogs. Sure, you may spend a little more time and sometimes money, caring for them, need a little more patience depending on their disability, but for the most part, they’re just dogs, and they do dog things. In the case of our huskies, they were typical huskies: stealing whole raw roasts from the counter, shredding toilet paper, escaping, digging, bouncing off the furniture, wooing to go out, in, out, in, out, in, etc. Dogs have the wonderful capacity of not knowing they are different in any way. Our mutant pawed Loki had no clue he was any different, and ran like the wind. People would say “what’s wrong with his paw?” and we’d freak out and look, thinking something was wrong with his paw, only to realize they were referring to his mutatoe. Sam, with his bad hips, would leap up, nab whole loaves of bread, and gobble them up in seconds. Nova, with almost complete cataract coverage, would still uncannily manage to catch squeeky toys thrown at him, was fine as long as we didn’t move the furniture, still ran up and down the stairs. Every dog has special needs: they need love, and a good home. We thank Penny for sharing her experience of living with special needs dogs. We hope her perspective will encourage some potential adopters to consider a dog labeled special needs. Please visit her Gimpy Dogs website for valuable information, insight, links, and support. So You Want A Siberian Husky! They’re often seen in blockbuster movies and TV shows – Snow Dogs, Eight Below, and most recently, Game of Thrones. We’ve all seen the reports on social media blaming these movies for a sudden increase in Siberian Husky relinquishment. 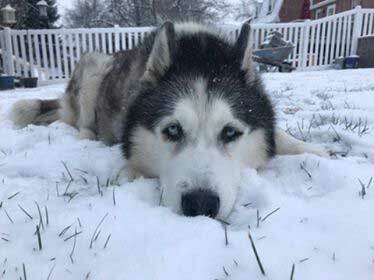 Sadly, it doesn’t help, but the fact is, there has always been a steady stream of Huskies being relinquished for many reasons as noted above and when the movies disappear there will still be relinquishments due to unprepared owners. Breed-specific rescues and local shelters have never been able to keep up with re-homing this breed. The best defense is a strategy. Education. Arctic Spirit Rescue is focused as much on education as we are on adoption. We often speak with local groups and make sure our audience understands that although beautiful, this breed has very specific needs and requires a very specific owner. For that reason we’re very cautious when we choose an adopter or foster home making sure they’re well prepared for those Siberian antics. Siberian Huskies are amazing animals with some very unique traits. Below are important considerations if you are thinking of adding one to your family. They shed…a lot. This doesn’t happen just a couple times a year. It’s constant and requires frequent brushings and regular grooms to help manage it. You’ll find their hair everywhere – in your food, on your clothes, drifting along in the air, rolling through your living room. Your guests will encounter hair on their clothing when they visit. It’s embedded in your furniture. If this bothers you in any way. Don’t get one. They’re vocal. They typically don’t bark like other dogs do. They howl and sing. It’s the song of their breed! If you live in a neighborhood that won’t appreciate this music, don’t get one. It’s not something that can be “trained out” of them. Speaking of training – it’s not going to be easy. Siberians are known as independent thinkers. It’s in their DNA and can be traced back to their early beginnings. They like to make their own decisions and that’s not always going to be in your (or your home’s) best interest. 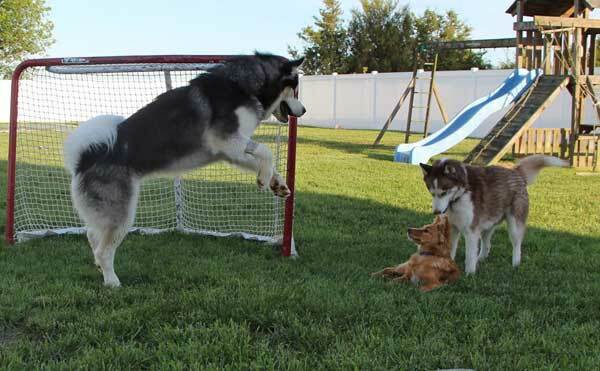 Your goal will be to keep your Siberian friend busy so he won’t have time to look for other things to do. For this reason many Siberian owners find it helpful to have more than one. They are often happier living in a pack and it will reduce the boredom they might encounter. They won’t be the dog that lies down on command, rolls over, and speaks on request unless perhaps you have something yummy that they desire at that particular moment. They usually don’t fetch, at least not past the first two times and they’ll always leave the intended object far away from you requiring you to actually fetch it if you want it back. They’ll watch you fetch while they rest in the yard. They like to run away. They’ll run away no matter how wonderful you are. They were bred to run and this is another trait that won’t be trained out of them. If there’s an open door or gate they’ll find it. If there’s a fence left unsecured at the base they will dig their way out within minutes. They climb fences, especially chain link fences or a fence with a picnic table or grill placed too close to the fence panel. They’ll wait for snow to pile up at the perimeter of the fence to use as a boost to hop over the fence. When they’ve breached their confinement they will keep running for miles. If you’re fortunate enough to find them they might not be in the same town. They might be in the next County. They are unlikely be in your neighbor’s yard, unless of course your neighbor owns a cat that has regularly tormented them from the other side of the fence. This brings us to cats and small animals. We should mention they’re not very trustworthy around animals significantly smaller than they are. 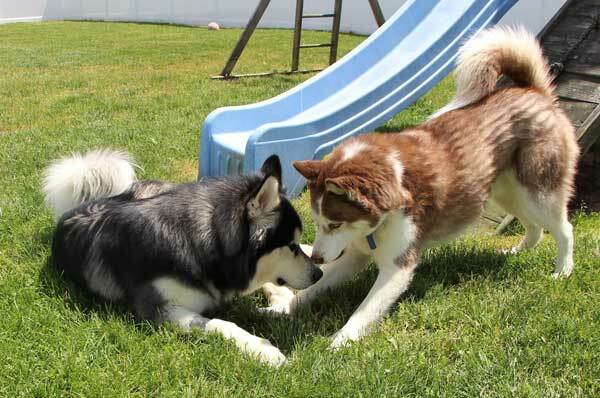 It doesn’t matter if this Husky has lived with a cat for years. If that cat bounds across the yard one day something called predatory drift kicks in and it’s over. 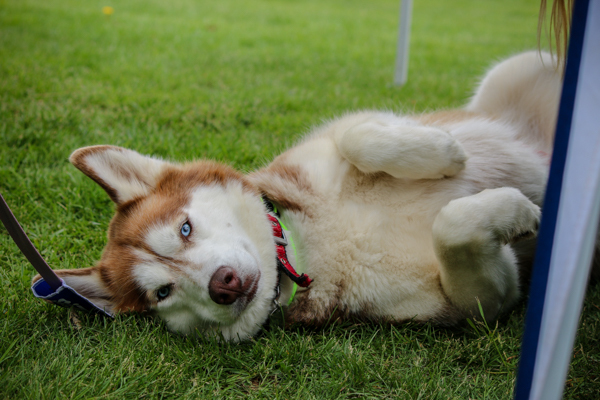 We’ve dealt with this very issue when heartbroken owners call us in total disbelief that their Husky “attacked” the cat he lived with for 7 years. 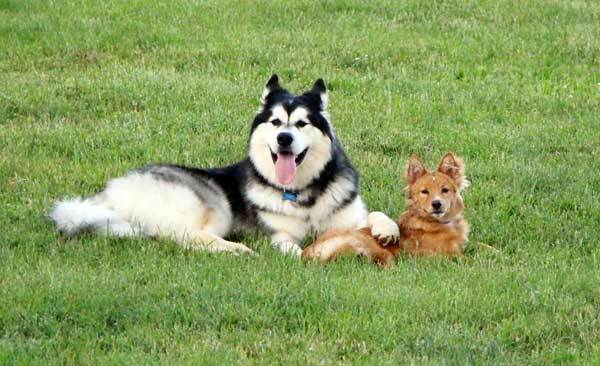 Yes – there might be exceptions to the rule for that one in a million Husky you had years ago. Don’t ever assume another one will be the same, even if raised as a puppy. This goes back to the independent thinker trait. So Why Own a Siberian Husky? So why in the world would anyone want a Husky?? They are incredibly intelligent and we are quite certain they understand everything we are thinking. This is particularly helpful after a long, hard day full of disappointment and frustration. They know when we need them the most and if we’re lucky, will run up to us, do a huge play bow, and invite us to play. Or, they might quietly settle next to us, snuggling as close as they can get or lie across our legs so we can no longer feel our feet. This is an honor. They’ll help us with our chores….you’ll never be alone again! They’re always available to supervise any task. 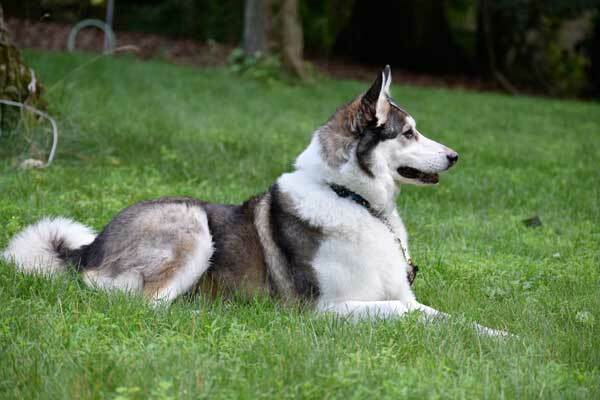 Their gentle, kind, and perpetually happy personalities will raise the bar for any other dog you might own although once you’ve successfully cohabitated with a Siberian we’re very sure you’ll want another. It just works that way. 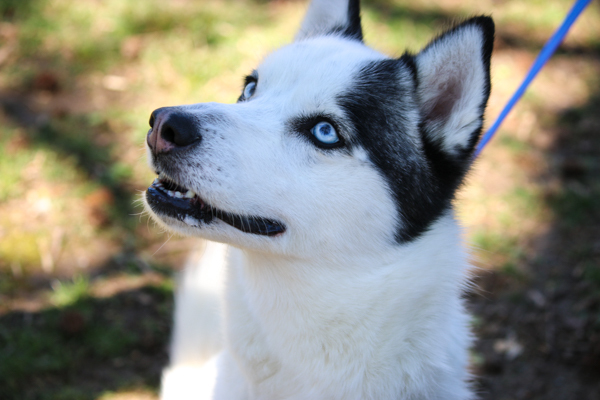 Interested in Siberian Huskies? Be sure to follow us on Facebook for future tips on caring for the breed. Also subscribe to our YouTube Channel, where we will be adding educational videos on care for all northern breed dogs. Since Izzy is looking for his forever home we asked our primary Veterinarian – Dr. Amy Kidd of Pocopson Veterinary Station in West Chester, PA – for some information about canine seizure disorders. Izzy was treated by Dr. Kidd and has been seizure free for several weeks now. His seizures are easily managed by an inexpensive prescription medication. He is now enjoying life and is perfectly healthy. If you’d like more information about Izzy please check out his page and contact us. His sweet personality will be a wonderful addition for a lucky adopter. Living a long and happy life with canine seizure disorder. Canine epilepsy or idiopathic epilepsy is a very common seizure disorder in dogs. There are many causes of seizures in dogs so it is very important to have a full evaluation for each patient to rule out an underlying cause such as liver disease, tumor, toxins, and other infectious diseases. Once these other causes of seizures are ruled out, idiopathic epilepsy is diagnosed. Dogs with epilepsy usually present with their first seizure between the ages of 6 months to 5 years. They can have either “partial seizures” or “generalized seizures”. Partial seizures usually only involve minor muscle spasms and the patient is usually conscious. Generalized seizures are much scarier to see. They can be very convulsive, have more violent muscle movements, and the patient is usually unaware of the episode. During an epileptic seizure, the dog is generally laying on his/her side, all the legs are rigid and paddling, and they can urinate and defecate. After the seizure is over, they can have a period of time where they are a little wobbly. It is very important to know what to do if you see a dog having a seizure. The first thing is not to panic. The main thing to remember is to stay away from their mouths. Dogs do not swallow their tongues during a seizure. They can however, clamp down on your hand (without knowing it) with a force strong enough to do serious damage. You should use a blanket or towel to pull them away from anything dangerous like stairs or falling objects. Do not cover them with anything because the body can overheat and cause permanent brain damage. You should try to time the seizure from start to finish. This is valuable information for your veterinarian to properly treat the patient. Seizures can occur very infrequently or they can present in clusters. Cluster seizures can lead to a severe and potentially fatal condition called Status Epilepticus. If one seizure seems to lead into another, this is a true medical emergency and the dog needs to be rushed to the closest veterinarian to be treated. Treatment of epilepsy varies depending on the duration of the seizures and the time in between having them. The general rule of thumb is to medicate any dog having one or more seizures a month. There are many different medications we use to treat these patients. The most common ones are phenobarbital, potassium bromide, Keppra, and Zonisamide. Keppra and Zonisamide are two relatively new agents we use to control seizure activity. They do not require blood levels like the older medications do. Luckily, they are both now in generic forms which has made them relatively inexpensive and our go-to meds. We also like them because we see less side effects, if any. Sometimes we combine medications to fully control the seizure activity. Seizures are extremely scary to see, but if you understand the disorder and seek proper treatment, dogs with epilepsy can live a full and happy life. A strong proponent of cutting-edge medicine, Dr. Kidd prides herself in her ability to deliver high quality preventive medicine and perform both routine and emergency surgeries. She provides these services for the patients and their owners at Pocopson Veterinary Station in West Chester, PA. Be sure to visit her website for more information. 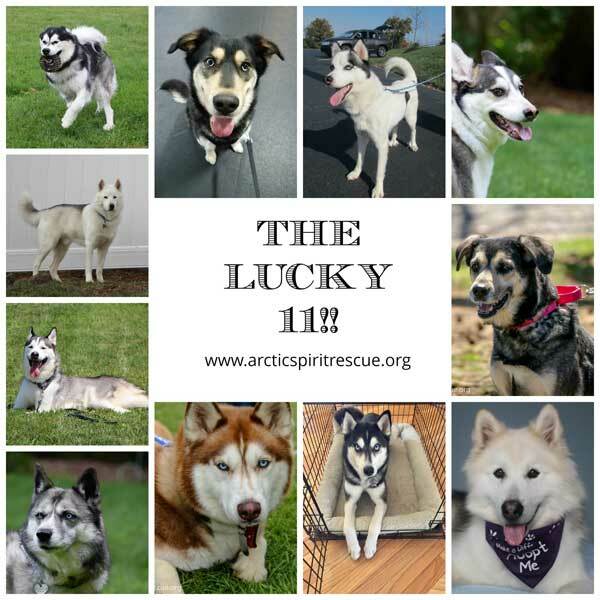 This month marks the one year anniversary of the launch of Arctic Spirit Rescue! Make no mistake, it hasn’t all been fun and games but it has been satisfying. There’s no better feeling than to know your efforts and hard work are saving lives. Collectively, our Directors have well over 30 years of experience in the rescue world. This experience is invaluable and allows us to effectively manage the day to day requirements and responsibilities that come with a professional non profit rescue. We came together and set our sights on excellence right from the start. There were countless hours of meetings and planning sessions which are necessary to do things correctly and professionally. We surrounded ourselves with other experienced professionals – attorneys, accountants, a graphic artist, a technology specialist, an analytics professional, photographers, a groomer, a team of veterinarians, a canine behaviorist and trainer, and many more talented and well trained individuals. This level of professionalism opened many doors which allowed us to make many new friends. People began to realize we were different, innovative, and focused. During this first year we were able to save 11 dogs, all of which were from our immediate area. That surpassed our expectations and we might just be gloating a little! We won’t rest there. There’s much more work to be done. We’ve identified our goals for year two and with the help and support of the communities around us, we’re confident we’ll achieve those goals. Thank you to everyone who has joined the Arctic Spirit Rescue team. We can’t wait to see what the future holds! By now most of you have met Baloo – our very fuzzy, very large Malamute youngster. We know many of you fell in love with this kind-of-gentle giant. How could we not? He’s everything many of us have secretly (or not secretly) wished for in a dog. He’s an attention grabber, he’s soft and fluffy, he’s BIG, and he reminds us of a loveable character we may have seen in a Jim Henson creation way back when. He just makes us happy! And therein lies part of our “problem”. Maybe not so much a “problem”, but a challenge. Of course, everyone wants him. We had numerous inquiries and we knew a couple would provide a very loving home, but that wouldn’t be enough for Baloo. When one obtains a Malamute as a puppy one is usually prepared for the monumental commitment the training process will require. It’s not a when-I-have-time-because-I-work-a lot project. It’s a daily process that requires dedication. Most Malamute owners realize this and don’t perceive it as a chore. They perceive it as something fun and fulfilling. Somewhere along the line, Baloo’s puppyhood didn’t include this training commitment. Therefore, we met a 100 pound, extremely strong young fluffball that had absolutely no concept of manners or personal space. He wanted to go from point A to point B immediately regardless of who was on the other end of the leash. It may sound funny but it posed a problem. He certainly wouldn’t be able to attend any public events until we were able to convince him there was a proper way to behave. Even with all of this, he sure is cute and has such an awesome temperament and so much potential. When we consider a dog as having special needs, one might imagine a chronic illness that would require lifelong care. But that’s not always the case. Even though Baloo is as healthy as a…well….Ox (so the saying goes), he still has very special needs. So, we made a list. As time went on that list got longer. Sure, we might be able to compromise here and there and could hope we found the right home that wouldn’t become overwhelmed by the challenges life with Baloo might present. The concern loomed large. What if we were wrong and several weeks later, and several pounds heavier and stronger he was returned to us? That’s a common concern for every dog we place of course, but one so large would require a specific foster home (again) and we’d be faced with possibly even more issues than we began with. These are big worries, but we were focused and intent on finding that perfect home. We went down our checklist line by line and it happened. We found it! We are excited to announce that Baloo’s foster home is adopting him! This is a win/win for all of us, including his many fans. Having a foster home “fail” is frequently a challenge for any rescue group since it has the potential to eliminate the home from fostering in the future. Fortunately, that’s not the case for this home. They will continue to foster and Baloo will ultimately be an integral part of the welcoming committee for any newcomers. Since our goal for each dog we take in is to make their needs a priority and to go the distance to fulfill those needs regardless of how long it takes or how much it costs we knew this was the right decision. We will also share an inside glimpse of his progress and you’ll be seeing him at future events. The perfect Northern breed spokesman! You’ll see his progress as his family works with a trainer to learn how to manage Baloo’s Malamute exuberance. We congratulate Baloo on his new home and selfishly are thrilled that we really don’t have to say goodbye after all, and we look forward to having him at future events for all to enjoy. Welcome to the Arctic Spirit family! Be sure to follow us on Facebook and Twitter for further updates on Baloo!